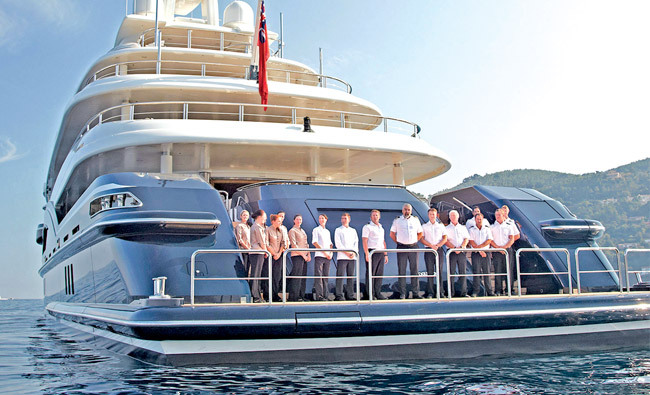 Sri Lanka recently embarked on a novel project to manufacture and market luxury yachts as a new initiative under the country’s tourism drive. The foundation stone for the yacht factory was laid at a ceremony presided by Fisheries and Aquatic Resources Development Minister Mahinda Amaraweera. The proposed luxury yacht manufacturing facility located at the Beruwala Fisheries Harbour is a joint-venture between the Building a Future Foundation (BAFF) and Solar Impulse (Pvt) Ltd. BAFF was founded by one of Colombo’s leading business families, the Jinasenas, and Pierre Pringiers, the Honorary Consul for Belgium in Sri Lanka, as a long-term extension of the Solideal Loadstar Rehabilitation Trust (SLRT) which was created in response to the 2004 tsunami to rebuild the southern coast.It built houses for 15,000 beneficiaries with a total budget of 5 million Euros. They are also co-founders of Loadstar (Pvt) Ltd. (now Camso-Loadstar). BAFF aims to improve the living conditions of a thousand underprivileged persons who depend on the resources of the ocean while respecting and preserving their environment.BAFF’s impact model is to provide vocational training to youth, to incubate businesses by bringing in professional expertise and support, to create sustainable employment and to generate stable incomes for the young generation and their families. 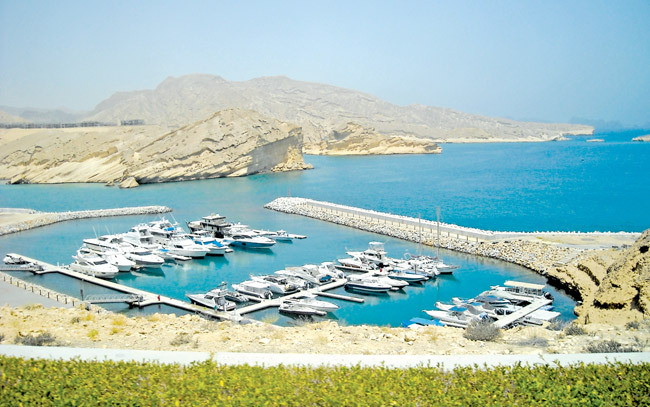 “We have already invested four million dollars in the whole project including the boat building side, and we are planning to invest 26 million dollars in the next five years. We are looking for partners as I’m not doing this for myself,” the 71 year-old Pringiers explained. 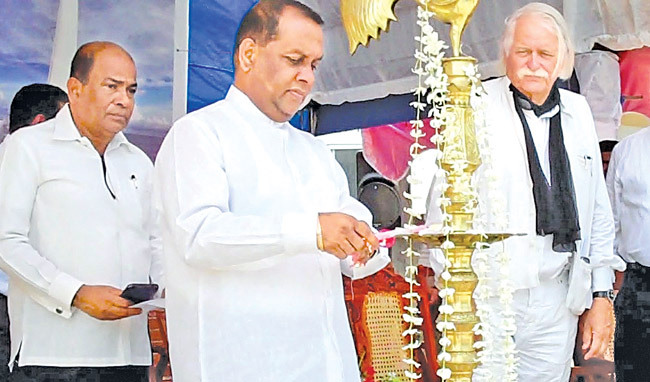 Fisheries and Aquatic Resources Development Minister Mahinda Amaraweera, said that it was an occasion for joy not just for Beruwala, but for the whole country as the benefits of the project would accrue to the whole of Sri Lanka. “On the one hand, not only would our youth be able to secure employment, but we will also be able to earn a large amount of foreign exchange. Similarly, it is very clear that these organisations will make a significant contribution to the tourism industry.”. 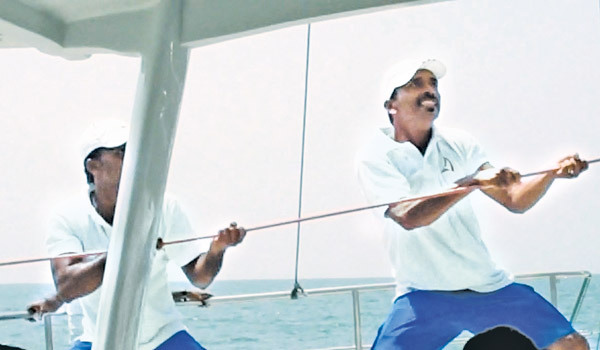 Indhra Kaushal Rajapaksa a director of BAFF recalled how one of the fastest racing yachts in the world arrived at the Mirissa Mini Marina built by BAFF in November 2015. “The yacht - a trimaran - was participating in the ‘GuoChuan Racing’ to sail across the ‘21st Century Maritime Silk Road’. The vessel was on its way to Mumbai, Alexandria and Monaco. He also mentioned how the Skipper of the yacht Guo Chang had said that the potential of Sri Lanka as a yachting destination was huge. The building of luxury yachts is a great breakthrough for the tourism industry.I wish more Sri Lankan industries get similar incentives to embark on novel projects.